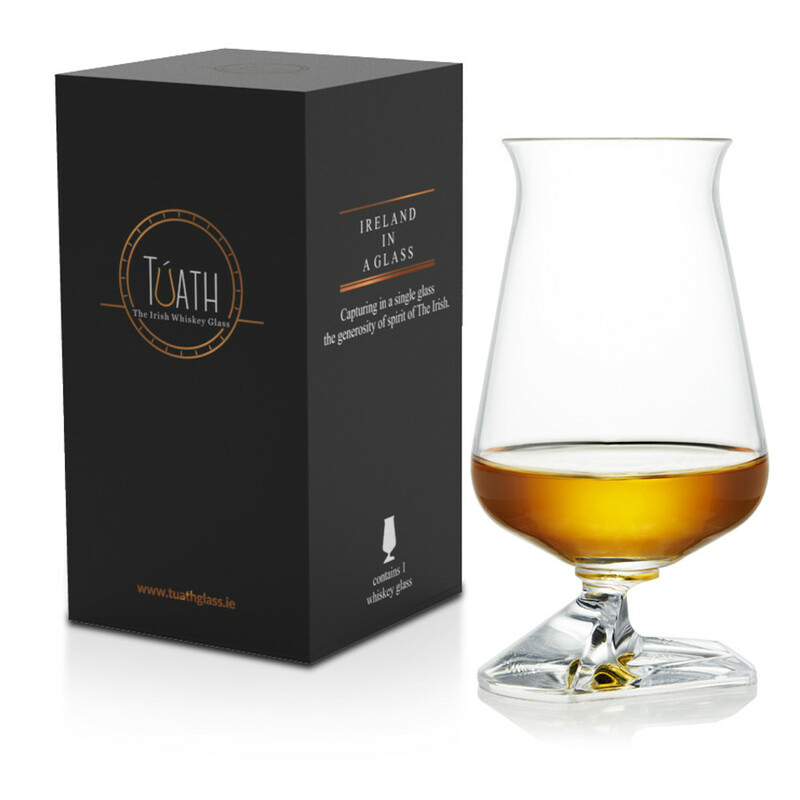 Designed in ireland to offer a unique and perfect tasting of whiskey, Túath crystalline whiskey glass concentrates the best know-how. Túath is available exclusively at Le Comptoir Irlandais. Túath crystalline glass was imagined in Ireland. Its design aims to offer a unique and perfect tasting for an Irish whiskey. Four elements are essential during a tasting: the concentration of the aromas, the analysis of the colour, the consumption and the comfort of the handling. With this whisky glass, Túath relies on a conical shape to keep the aromas tight but with a slightly wider opening than the traditional whisky glass and a flared top to let more alcohol vapours express themselves. It gives the opportunity to breathe concentrated flavours but also oxygenated enough to be developed. The transparency of the crystalline ensures a perfect fidelity of the colours of the whisky and the short stem of the glass Túath gives the possibility to swirl easily the liquid to analyze its characteristics. The original shape of the glass with its thin, elegantly flared edge allows alcohol vapours to escape from the mouth, enhancing the taste of whisky during consumption. On the other hand, the foot of the glass with its short stem and unique design provides a secure anchor for the thumb. It fits left and right handed. It gives the possibility to rest the glass on the side. Túath glass is sold with its cardboard box. Developed by The Irish Whiskey Glass Limited, the brand Túath transforms the tasting of Irish whiskey into a real art. Túath is a concentrate of technologies that allows in a tasting glass, to concentrate the aromas and capture all flavours of whiskey.